Nietzsche was mad about music… but we couldn’t agree more! At Bishop’s our programs and courses are constantly being redesigned and updated, allowing students to realize their full potential as musicians or perhaps discover music’s power for the first time in an ever-changing, ever-shrinking artistic world. In an effort to meet the demands of music in the 21st century, students at Bishop’s have the choice of pursuing studies in two different disciplines: traditional Classical Music or the field of Popular Music Studies (Jazz, Rock & Pop). Interdisciplinary programs include degrees in Arts Administration with a concentration in Music, and a Double Major in Music and Secondary Music Education. You will find a unique flexibility in all of our programs, allowing you to explore other areas of interest across the Bishop’s campus, and design your own personal degree. Most of our students combine their study of Music with another discipline – Drama, History, Languages, Sciences, Psychology, Business – our students have tried everything! Students comparing music programs in North America often want to know if a B.A. Music degree earned at Bishop’s ranks favourably with those found elsewhere. Our B.A. Major covers the same academic territory as most B.Mus. degrees, and our B.A. Honours has been accepted by graduate programs across Canada and in the U.S. as equivalent to a B.Mus. degree. You will quickly discover that the core courses offered at Bishop’s in Music are the same as those in all other institutions. In addition, we can proudly boast small class sizes and a collegial, non-competitive environment that facilitates not only the development of your talents, but your confidence as well. Life-long friendships often begin at Bishop’s and are among our proudest accomplishments. Our students come from across the country and around the world, not to mention the Quebec culture infused throughout the University. This diversity makes our department a vibrant and exciting place to work and study. Check out complete degree requirements under Courses & Programs. 160-seat Bandeen Hall is our performing home – we run our own concert series there and use it for student classes, recitals and ensembles. The acoustics are excellent! Music students at Bishop’s are granted access to fine instruments, such as our two world-class 7–foot Hamburg Steinway pianos, a continuo pipe organ, and a 2-manual French Baroque harpsichord made by Montreal craftsman Yves Beaupré. Organ students also have access to a 22-stop Karl Wilhelm pipe organ, located in St. Mark’s Chapel, just across from the Music Department. Students are guaranteed 2 hours per day in our spacious practice rooms on the lower level. All of them are equipped with Yamaha upright pianos, and there is a window in every room. Purple Records – a new fully-equipped recording studio – has been installed in the Music Department, and students have the opportunity to make professional-level recordings in the studio or in Bandeen Hall. There is a chamber choir open to all students that performs in St. Mark’s Chapel every Sunday, and puts on a Festival of Lessons and Carols each December. There are paid positions for section leaders. Jazz Jams – Thursday evenings are the time to give your jazz chops a go, in an informal gathering led by some of our jazz teachers. Les francophones peuvent étudier musique et anglais en même temps. Professional Jazz, Pop and Classical Musicians. Music Educators in elementary, secondary and university settings. Graduate Students in Musicology and Performance. 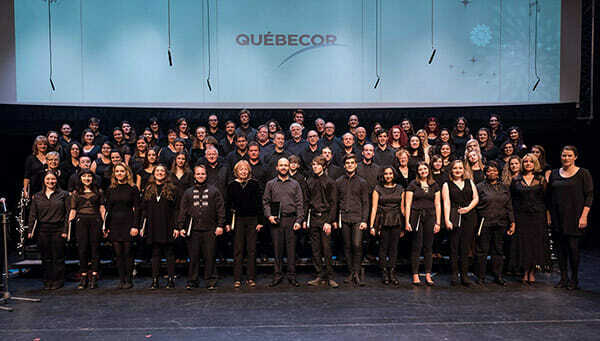 Arts Administrators for professional organizations including CBC Radio, TafelMusik, the Montreal Chamber Music and Montreal Jazz Festivals. Small class sizes. With a few popular exceptions, most of our classes are 20 or less, guaranteeing individual attention. Upper level courses are often 10 or fewer. Second Instrument Study. Are you a violinist who also sings? A pianist who also plays guitar? We are one of the few music programs that allow you the opportunity to study more than one instrument at the same time and earn credits towards your degree. Accompanist fees covered. Students requiring a piano for their instruments or for voice are provided with a certain number of hours with a professional accompanist at no cost. Performance opportunities are everywhere both on and off campus as early as the first semester of study. Student bands are a regular fixture at the Golden Lion Pub in Lennoxville, for example. Artist-in-Residence Program. Enjoy lessons, master classes and performance opportunities with nationally and internationally renowned artists. We usually invite one classical and one jazz/pop artist each year. Musique Chez Nous. This is the department’s student-operated concert series. Enjoy free concerts and take advantage of employment opportunities in publicity, recording and stage management, including a paid internship. Double Majors. We’ll say it again. 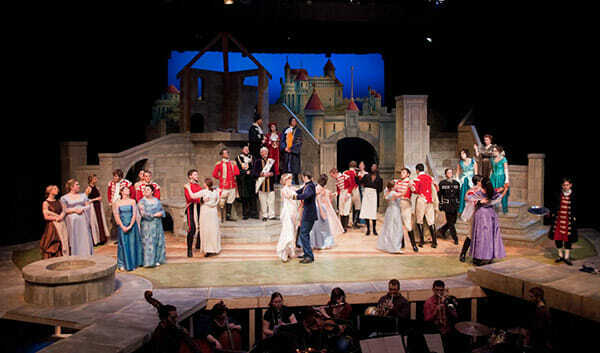 How about a double major in Music and Drama, for example, and the opportunity to perform in a fully-staged musical! They happen at Bishop’s almost every year. See the Production Archives of the Drama Department.